Presenting the first English translation and analysis of a recently discovered late colonial Maya Christian manuscript, this volume opens important new insights into how the Maya made sense of Christianity within their own worldview. Among the surviving documents from the colonial period in Mexico are rare Maya-authored manuscript compilations of Christian texts, translated and adapted into the Maya language and worldview, which were used to evangelize the local population. 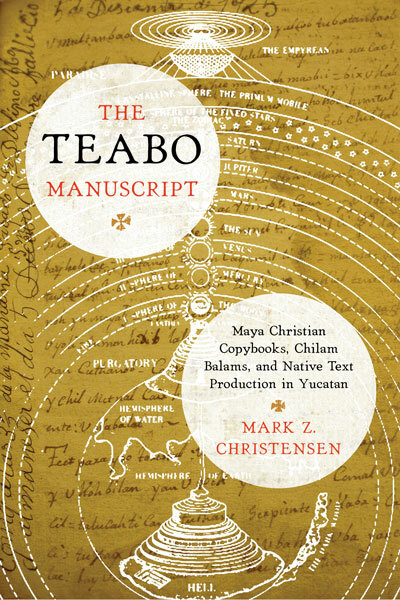 The Morely Manuscript is well known to scholars, and now The Teabo Manuscript introduces an additional example of what Mark Z. Christensen terms a Maya Christian copybook. Recently discovered in the archives of Brigham Young University, the Teabo Manuscript represents a Yucatecan Maya recounting of various aspects of Christian doctrine, including the creation of the world, the Fall of Adam and Eve, and the genealogy of Christ. The Teabo Manuscript presents the first English translation and analysis of this late colonial Maya-language document, a facsimile and transcription of which are also included in the book. Working through the manuscript section by section, Christensen makes a strong case for its native authorship, as well as its connections with other European and Maya religious texts, including the Morely Manuscript and the Books of Chilam Balam. He uses the Teabo Manuscript as a platform to explore various topics, such as the evangelization of the Maya, their literary compositions, and the aspects of Christianity that they deemed important enough to write about and preserve. This pioneering research offers important new insights into how the Maya negotiated their precontact intellectual traditions within a Spanish and Catholic colonial world. MARK Z. CHRISTENSENWorcester, MassachusettsChristensen is an associate professor of history at Assumption College. He is the author of Nahua and Maya Catholicisms: Texts and Religion in Colonial Central Mexico and Yucatan and Translated Christianities: Nahuatl and Maya Religious Texts.